On January 25, 2016, a grand jury in Harris County, Texas excused Planned Parenthood and indicted the undercover reporters who exposed the abortion giant’s barbaric and illegal practices. Rita Diller’s article, “Texas grand jury indicts whistleblowers,” explains how there is more to this sordid affair than meets the eye. Nevertheless, such shameless tactics and constant lying must never discourage us; they must strengthen our resolve to build a culture of life. 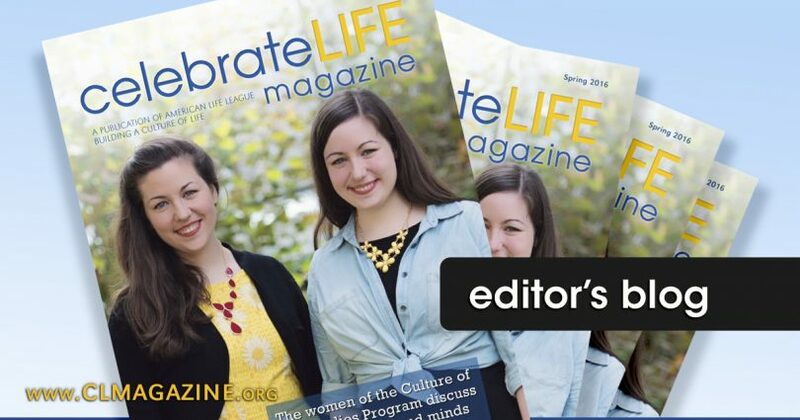 To help strengthen your resolve and provide you with useful tools, this issue covers both inspiring examples of people who have successfully fought the culture of death and witnessed to the value of every human being’s life and one of ALL’s important programs for building a culture of life through education. The inspiring examples are taken from both parents who chose life for their preborn child with an adverse prenatal diagnosis (“Journey of love”) as well as a loving wife who resisted coldhearted pressure to euthanize her husband (“Euthanasia—Our story”). ALL’s important program, Culture of Life Studies Program, provides tools for building a culture of life through education. The CLSP team creates supplementary study units in conjunction with experts from various fields to guide children and teenagers through grade school and high school subjects from a pro-life perspective. In this feature article (“Culture of Life Studies Program”), the CLSP team discusses its origins, its present, and its ambitious plans for the future.